David Rieff has 1 media appearance. When she was diagnosed with cancer for the third time, the writer Susan Sontag signed on for a harsh treatment regime in the hopes it would keep her alive. But it only added to her suffering. Her son, the noted journalist David Rieff, has published a memoir about his mother's "revolt against death" — and about what he describes as the unanswerable questions of a survivor. 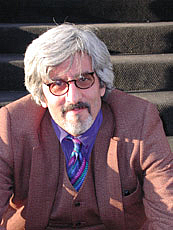 David Rieff is currently considered a "single author." If one or more works are by a distinct, homonymous authors, go ahead and split the author. David Rieff is composed of 2 names. You can examine and separate out names.